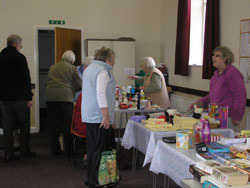 The Friendship Groups two fundraising events for 2012 were to raise money for Bassetlaw Hospice. 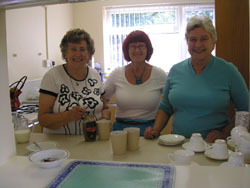 The first event was a Coffee Morning held in March in the Recreation Room. 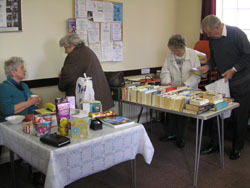 There were the usual stalls of books, bric-a-brac, and delicious homemade cakes, along with tombola and two raffles. One was for a large food hamper which was won by Audrey Rogers. The other was for several different prizes. 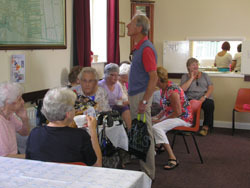 Refreshments of tea, coffee and biscuits were also available. This event raised £342.40p. The second event was a Summer Fete held in August which also took place in the Recreation Room and extended into the Spinney area. The two raffles were for a large food hamper won by Rita Ancliff and a large doll won by Jessie Wallhead. There were of course all the usual stalls and tombola. 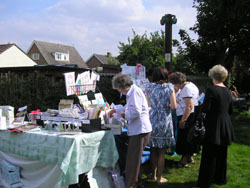 The Group also invited people from outside to set up stalls in the Spinney area to sell their wares. Refreshments of tea, coffee and biscuits could also be enjoyed both outside and inside. This event raised £416.20p. 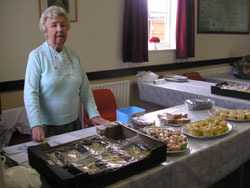 The weather was not brilliant for the Coffee Morning but for the Summer Fete it was sunny and warm – with no rain! Both events are always very well attended and supported and this year was no exception. The final grand total raised of £767.10p will be presented to Mr Ian Hall from the Bassetlaw Hospice at the Group’s meeting on 21st September. Special thanks go to all those supporting both events enabling the Group to raise money for such a wothwhile cause.